Areas: Oklahoma City surrounding areas. 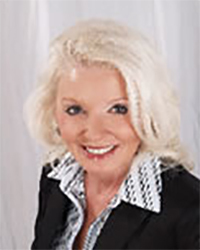 Licenses, Admissions & Associations: Ms. Robey-Harcount is licensed in Oklahoma and Texas. She is also licensed in United States District Court for the Western District of Oklahoma and the United States Court Of Appeals For The Tenth Circuit. Furthermore she is an associate of Association of Trial Lawyers of America, Oklahoma Lawyers for Children, Oklahoma Bar Association, Texas Bar Association, Organization for the Advanced of Women, Southern Poverty Center and American Civil Liberties Union. My legal practice includes primarily civil litigation and some criminal litigation. An example of the types of cases that are considered and accepted for civil litigation are those cases that involve the family (divorce, custody, modification, contempt, collection of child support, paternity), environmental problems, intellectual property, medical and dental malpractice, products liability, premise liability, security, wrongful tracking you via an Electronic Tracking Device and catastrophic brain injuries. My office also accepts a limited number of cases requesting a Victim Protective Order, Expungement and sealing of criminal records and a limited number of cases involving DUI’s. By limiting my practice for maximum effectiveness, this Law Office offers our clients the personal attention and case management that are key to bringing any case to a conclusion. I have remained a service-oriented lawyer to each and every client from all sections of the United States and internationally.